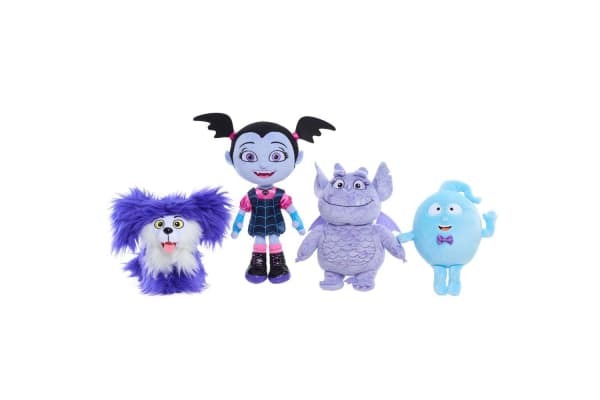 From the Disney new series, Vampirina, comes a set of bean plush featuring your favorite characters. The bean plushes are made from soft and cuddly fabrics that your toddlers will love to hug and cuddle. They come in fun collectible sizes and perfect for display or playtime. Demi is one of Vee’s best friends. He helps Vee on her adventures. He can be sometimes forgetful and clumsy and he likes doing cartwheels in the air. This huggable creature from Vampirina makes a perfect companion for your little ones from 2 years and up. Collect all the spook-tacular Vampirina Bean Plush characters!